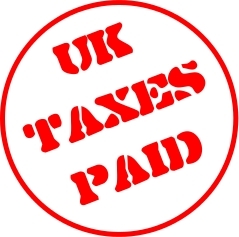 Defendapack, a trading name of Artefekz Ltd, is UK registered for taxation purposes. All profits are accounted for in accordance with Inland Revenue rules & UK Taxation Laws, with a percentage of profits being paid at the prevailing rate to the exchequer. We may not agree with the amount of waste within both Local & Central Government or everything that our Government spend our tax contributions on, but these concerns are outweighed by a need and a responsibility to contribute towards the infrastructure of the country in which our profits are generated. We therefore have not switched the jurisdiction of our company's tax affairs and have no intention of switching the jurisdiction of our company's tax affairs.